The potato has historically not been widely used in China (although that is probably changing with the incursion of western-style fast food) and, where it does appear, it is not as a major starch component of a meal, as it usually is in the west. 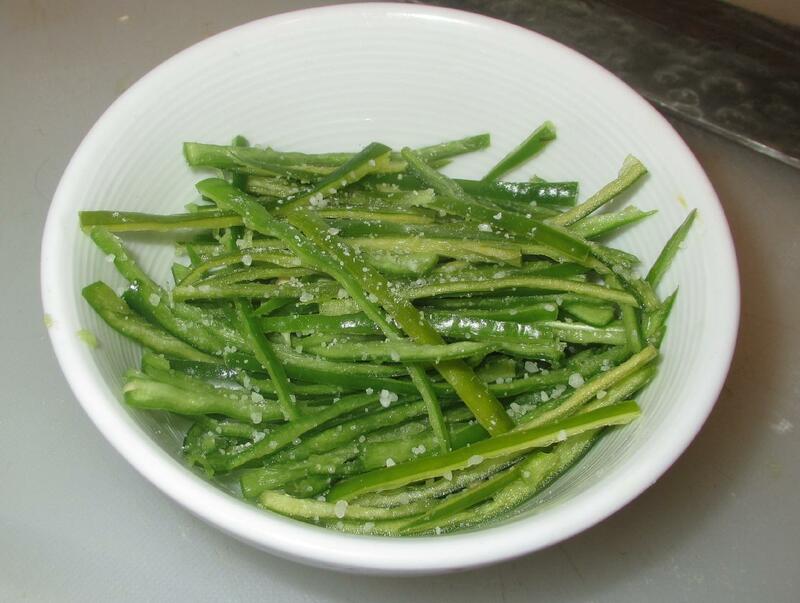 Instead, it is treated more as a secondary vegetable and will often appear alongside rice based dishes, or even noodles. 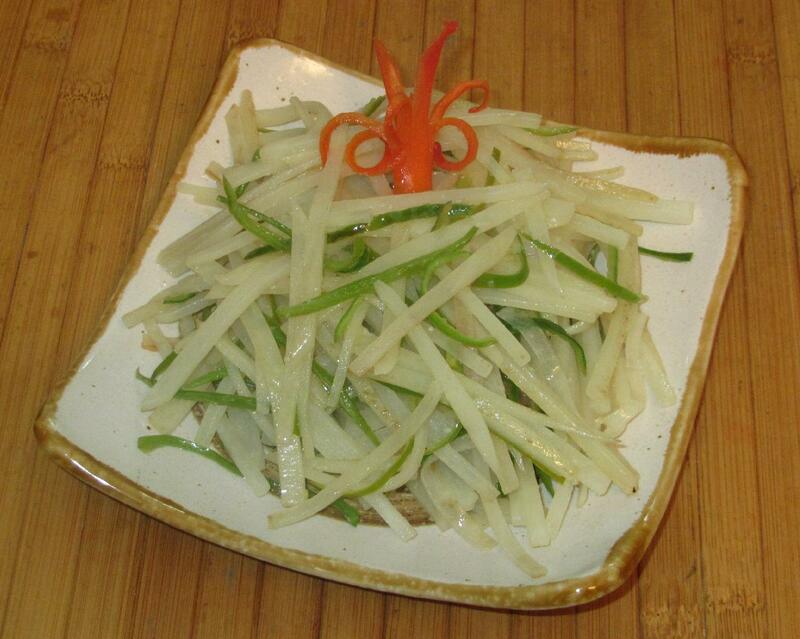 Today’s dish is a good example of a Chinese potato preparation and, while it appears to have originated in Sichuan, is becoming widely popular elsewhere as well. 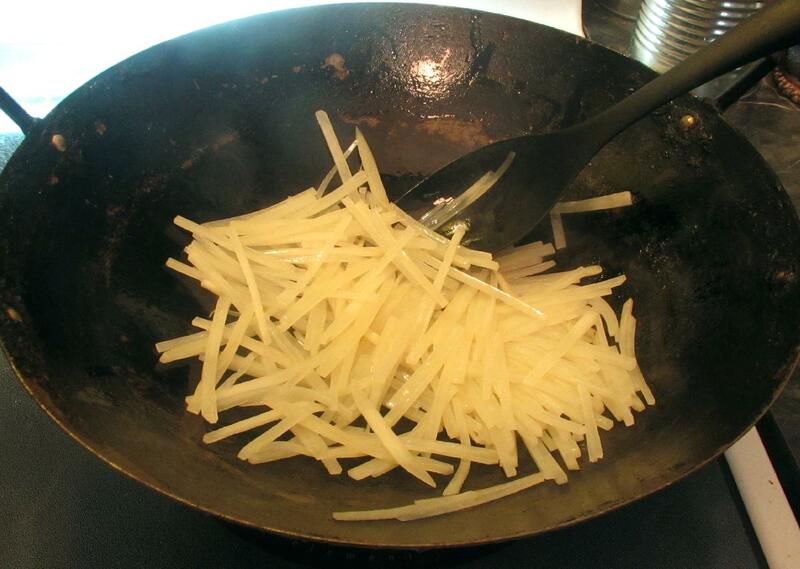 Slice the potato lengthwise into slices about 1/8th of an inch thick, then cut the slices into 1/8th inch thick shreds. 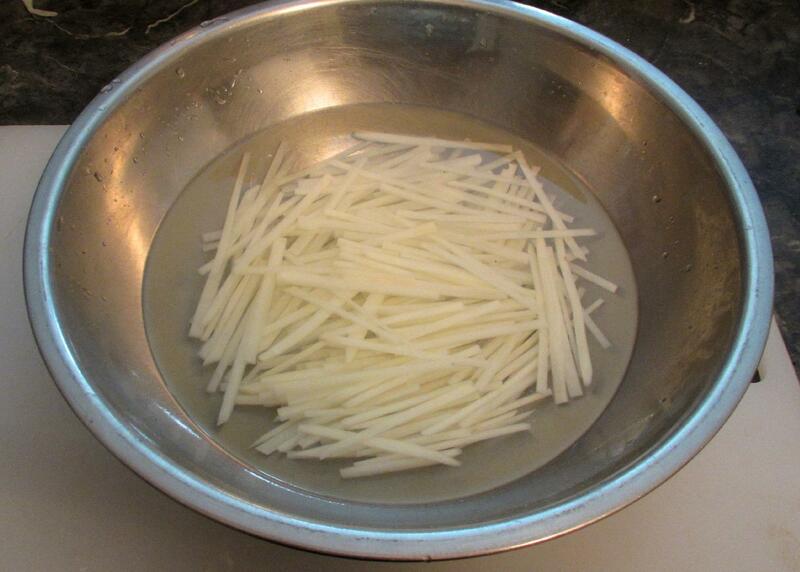 Put the shreds into a large bowl of water and squeeze them gently, making the water cloudy with starch and then drain. Repeat a couple of times until the water remains clear and then let the shreds sit in cold water with ½ teaspoon of salt and 1 tablespoon of vinegar until ready for use. Toss the chili shreds with the remaining salt and let sit until they are softened. Heat a tablespoon or two of oil in your wok over high heat and drain the potato shreds, blotting dry with a bit of paper towel. Add them to the wok and toss and stir for about two minutes or so until they are softened somewhat. Stir in the garlic, chili shreds and the vinegar and cook for another minute or so until all is heated through and then plate for service. As a perfectionist, I am completely impressed with your knife shredding skills. Slicing and dicing is like therapy for me. My girlfriends don’t get it. They all use gadgets to save time. But gadgets NEVER achieve this (and are awful to clean). The potatos and peppers are very pretty. And I am certain they are quite yummy. I find most gadgets take so long to set up, use and then clean that they never save time! I love that dish. 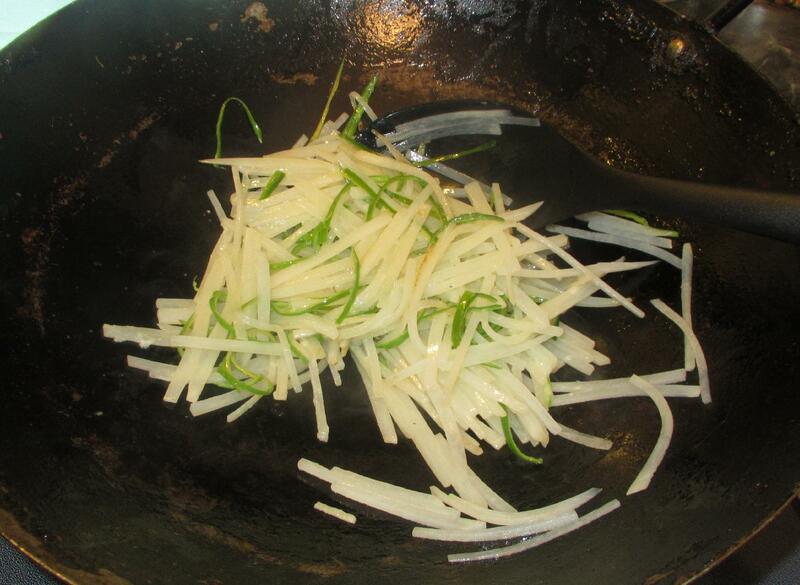 We make it often with a little Sichuan peppercorn, salt and sesame oil at the end.